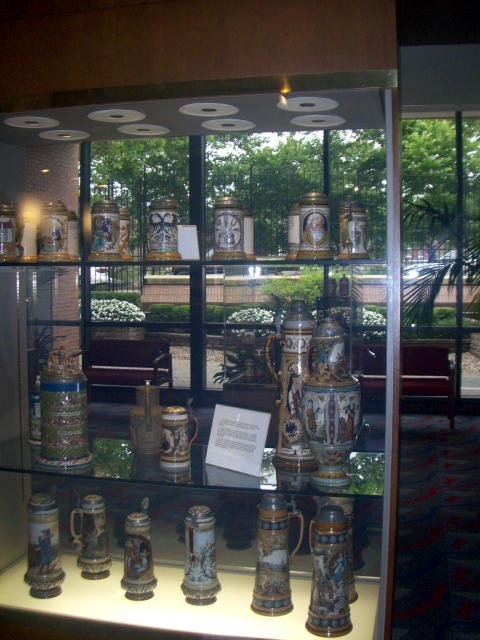 Grayline Tour – Saint Louis (Part 2) « R-V There Yet? We don’t want to bore you with more pictures. Oops, too late. 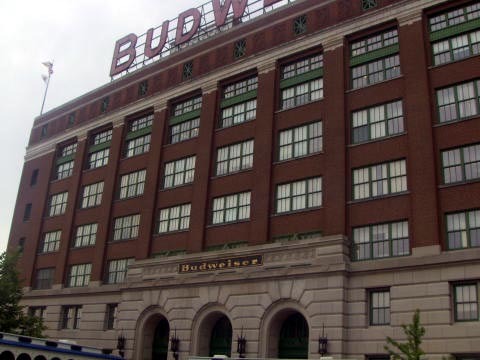 To continue with our Grayline Tour of Saint Louis, we had opted for the Anhauser Busch plant tour and as we arrived, we were amazed at the size of the place. 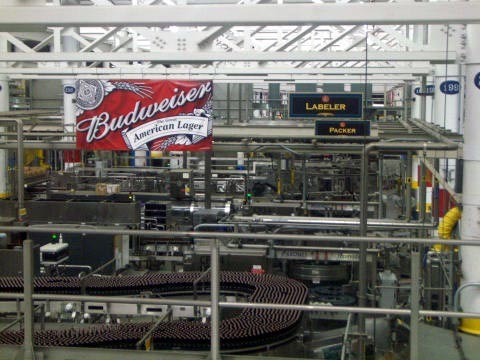 This is one of the bottling areas and was constructed in 1917. I’ve never seen so many red brick buildings in my life. At 6.5 bricks per square foot, one can only imaging how many they went through. 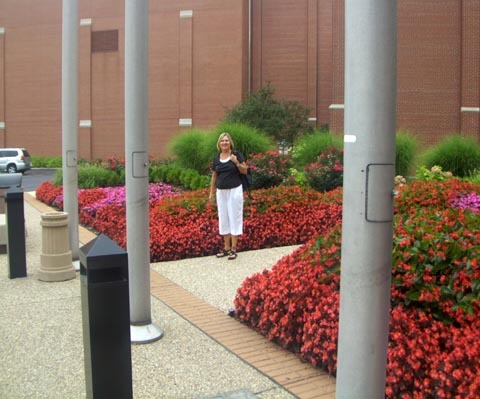 The landscaping was also fabulous throughout the entire complex. 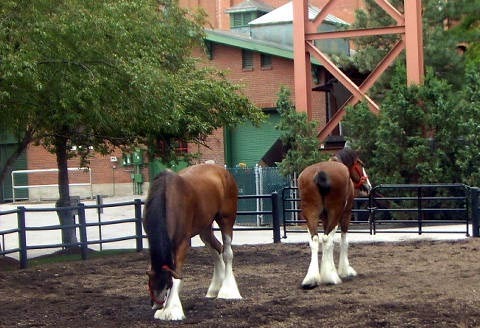 The Clydesdale horses live better than most people. Their stable is worth millions. 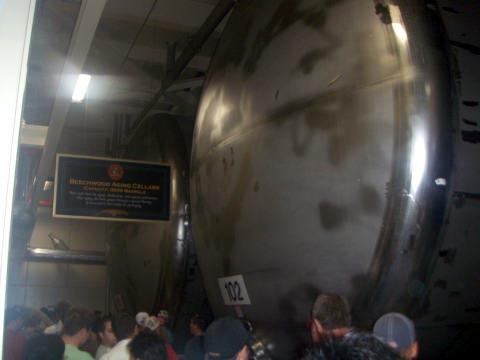 The “Beechwood Aging” tanks are enormous. If you drank a case a day, it would take approximately 125 years to empty one of these tanks. The temperature in the room is kept at 55 degrees. 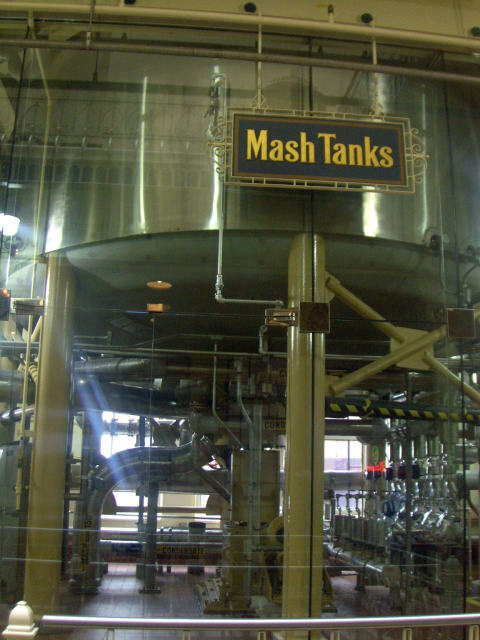 Another process is mashing and is a cooking process performed in different steel tanks. 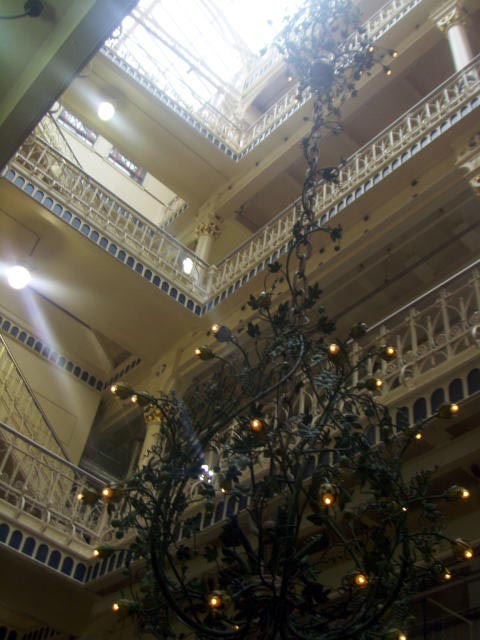 While looking at the mash tanks, you are standing next to a huge chandelier that reaches up another four floors. Then comes the bottling room. Each machine can bottle up to 1300 bottles per minute. Then it was off to the tasting room where we were able to test two glasses of the beers of our choice. 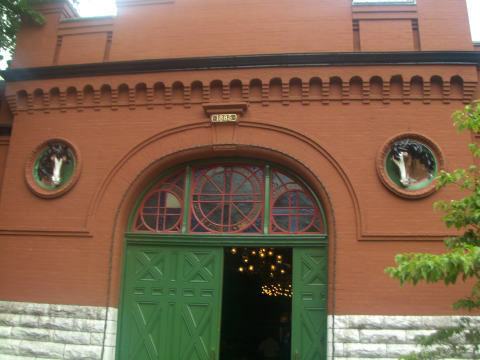 One of the most interesting segments of the history of Saint Louis is that of their churches. The city was settled by various ethnic groups. Each group built their own church and each tried to do it on a grander scale than the others. 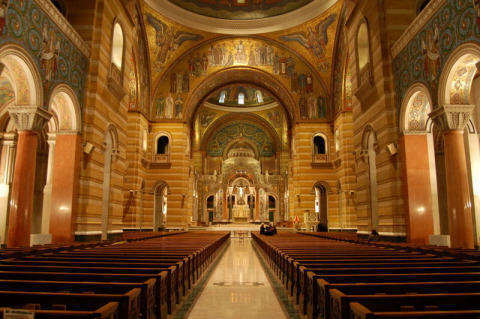 In the 1870’s planning was begun for the grandest of them all, the Cathedral Basilica of St. Louis. The construction was completed in 1914, seven years after the ground was cleared. The church is magnificent as you look at it from the outside, but, amazing when you enter. 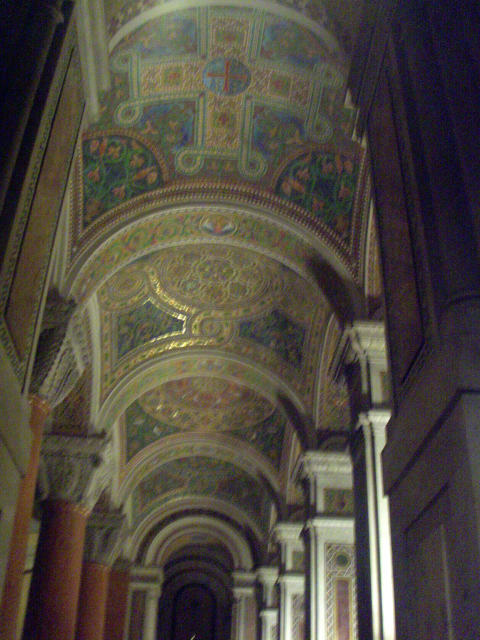 83,000 square feet of the interior surfaces are covered with some of the most fantastic mosaic tile work. Installation of the mosaics began in 1912 and continued through 3 or 4 generations of artisans and was completed in 1988. That’s right, 76 years after the work began. 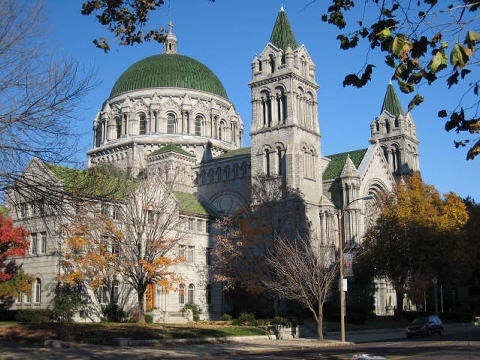 If you are in St Louis and only have time for one attraction, you might want to consider the Cathedral Basilica for that one stop. We feel that our day with the Grayline Tour was well worth the time and the moderate cost of $82.00 for two of us. 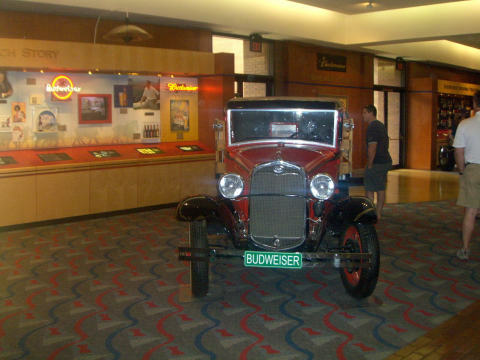 This entry was posted on Tuesday, July 21st, 2009 at 11:40 am and is filed under Missouri. You can follow any responses to this entry through the RSS 2.0 feed. You can leave a response, or trackback from your own site.